Patient waiting times are beginning to reach crisis level across the UK, with healthcare organisations unable to provide demand to a growing population of people enjoying longer lives. This dilemma is making national headlines as patient waiting times hit record levels and spark concerns amongst doctors over patient safety. Indeed, the Royal College of Surgeons recently revealed that the number of patients waiting more than 18 weeks for treatment for ear, nose and throat surgery has risen by 124% between 2012/13 and 2015/16. Waiting times for neurosurgery and gyneacology treatment also surged by more than 100%, whilst eye and oral surgery waiting times increased by nearly 90%. It’s therefore clear that something has to change dramatically to help our NHS services cope with the boom in demand. Rapid advances we’re seeing in technology have a major role to play in resolving this, offering patients not only better access to health information and resources, but also a more personalised service. I’m seeing NHS trusts already offering real-time demand and supply, streamlining their services and offering patients better control of their health, but there is so much more that can be done to evolve the healthcare ecosystem. The greatest benefit of going digital is helping healthcare services to put patients at the centre of the system, in the same way retail brands may build their offerings around their customers. 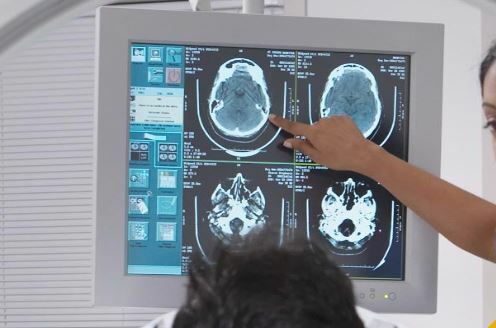 This is creating the idea of a ‘connected’ patient powered by artificial intelligence that analyses big data to make sense of data from advanced medical devices, sensors and wear-ables. Analytics can transform administrative and clinical data into actionable insights, putting you in the best position to offer the most appropriate solutions and trials to your patients. A good example of the clear benefits of this approach is Saint Louis-based care provider Mercy. By providing clinical teams with more accurate and timely information at the point of service, Mercy has reduced heart failure and pneumonia mortality rates to less than half the national average. Its physicians have also improved processes around clinical documentation and the use of operating room supplies – saving nearly US$75 million. Big data is also vital for driving benefits for healthcare organisations, as is the case with Seoul National University Bundang Hospital, in South Korea, following its deployment of SAP HANA. The hospital has been able to reduce the time it takes to analyse quarterly data from a couple of months down to just two seconds, purely by providing physicians and researchers with relevant data in real-time. This has also helped hospital staff retrieve historical research data up to 700 times faster than previously possible. The organisation’s processes have also been hugely simplified, to the extent that six nurses are now able to manage 320 clinical indicators – a service that demands the attention of 100 caregivers in similarly sized hospitals in the US. The hospital is also now able to analyse a wider range of variables, such as patient characteristics, disease and location, for the first time, leading to improved patient care and shorter stays in the hospital. This also means that researchers are less reliant on IT staff for data retrieval, enabling them to instead stay fully focused on their vital work. These examples highlight the clear benefits that analysis of data has to offer the healthcare sector. It is therefore vital to explore analytics as a way to provide enhanced patient satisfaction, while gaining deeper insights into your services and identify where you can save costs. For more information on how digital technology can aid your healthcare offering download our Future in Health whitepaper.